Very excited to have been able to witness the passing of marriage equality in New York tonight, June 24, at 10:30pm. How wonderful. Go New York! I’m proud to always be a New York gal. P.S. 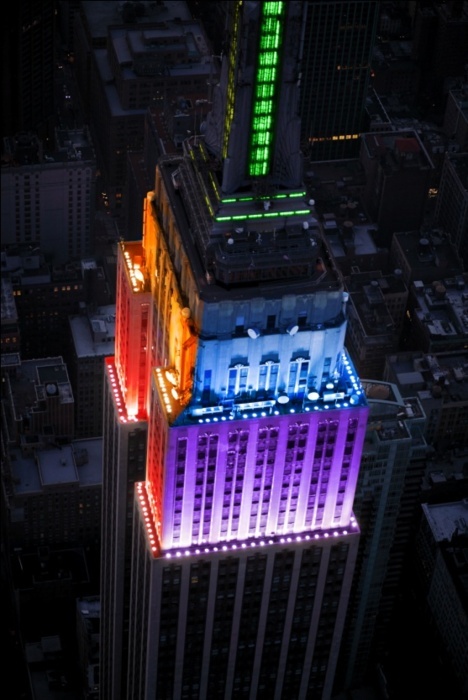 Love this picture of the Empire State Building lit up in the colors of the rainbow in honor of the vote. This entry was posted in Good times, NYC. Bookmark the permalink.